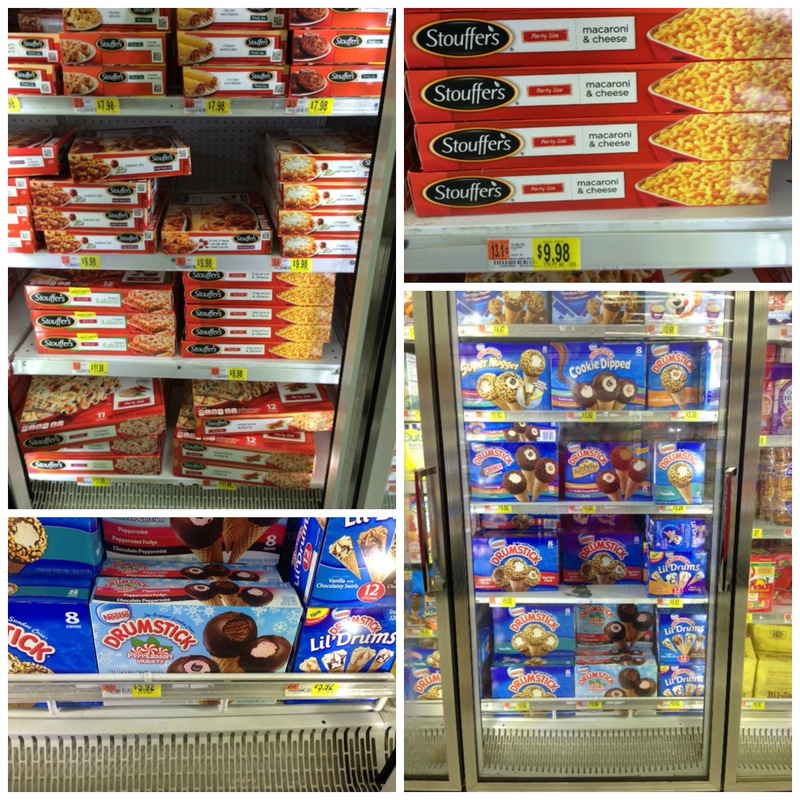 This shop has been compensated by #CollectiveBias, Inc. and its advertiser #Feast4All. All opinions are mine alone. When it comes to entertaining, Justin and I am consider ourselves to be pretty experienced. We host two big parties each year and in between, we are always having family and friends over for dinner, drinks or desserts. And while we usually plan way in advance for our annual celebrations, I like to have things on hand for the occasional impromptu get together or random family and friends who tend to stop by without warning during the holidays. It's no secret that Justin and I love Stouffer's Mac & Cheese and I usually keep some in the freezer for last minute guests. While we love it as is, this past weekend we were heading to Friendsgiving dinner and I wanted to do something a little out of the ordinary with our favorite Mac & Cheese. 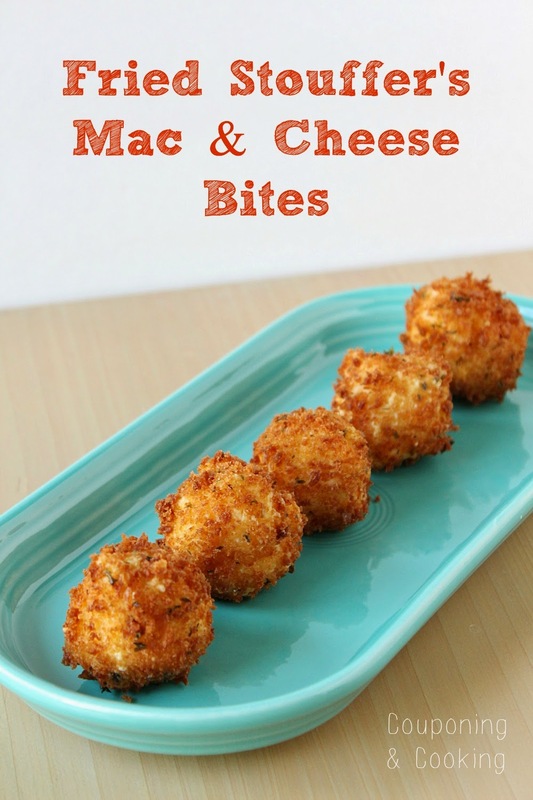 I have always wanted to make Fried Mac & Cheese Bites and Friendsgiving seemed like the perfect excuse. We made the mac & cheese the night before and may or may not have snuck a little for ourselves before sticking it in the fridge. The next day we just used a mini cookie scoop to make bite sized balls and dropped them in the fryer right before heading over to our friend Aaron's house for dinner. I know it's hard to imagine Stouffer's Mac & Cheese being any better than it already is but trust me when I tell you you have to try it like this. 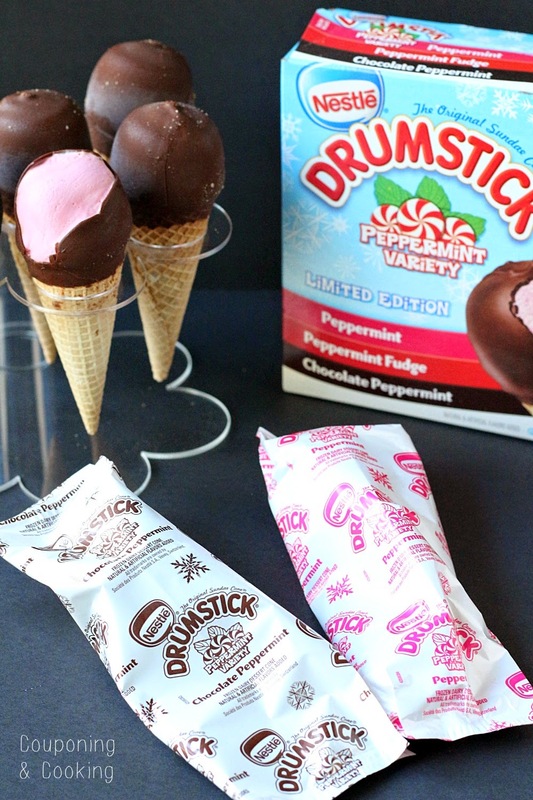 Another thing that is nice to have on hand for holiday guests is ice cream. 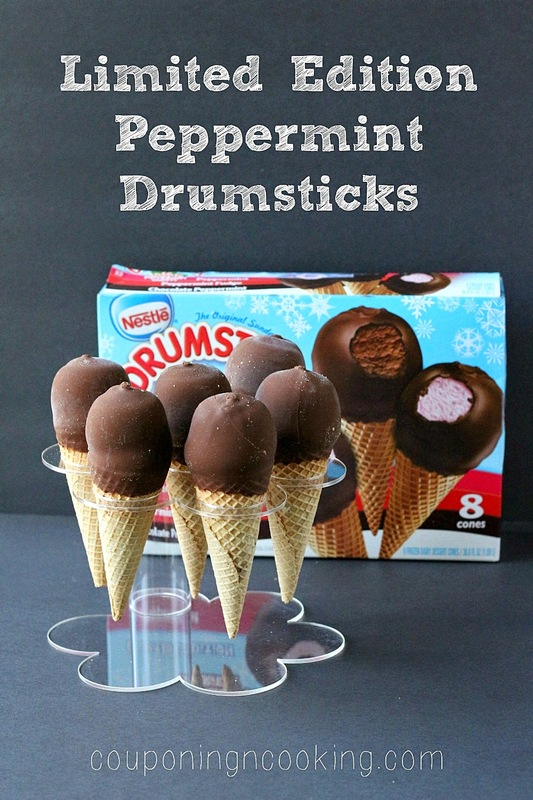 I actually coveted these Limited Edition Peppermint Drumsticks quite a few times in my recent trips to Walmart before I actually bought them. Florida is still in the 80's despite the quickly approaching holidays so single serving ice cream is a great dessert for those nights we are sitting out on the porch with friends. It's hard to feel festive with 75% humidity but these certainly help. 1.) The night before, bake the Mac & Cheese according to the directions on the package. Let cool completely and store covered in the refrigerator over night. 2.) 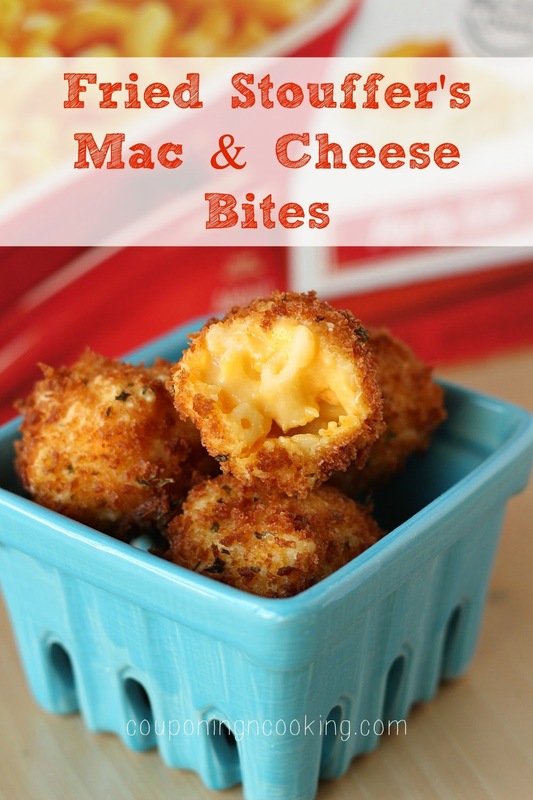 Right before you make the bites, pop the mac & cheese in the freezer for about 10 minutes. This makes it easier to shape. 3.) Heat oil for frying to 350 degrees. 4.) 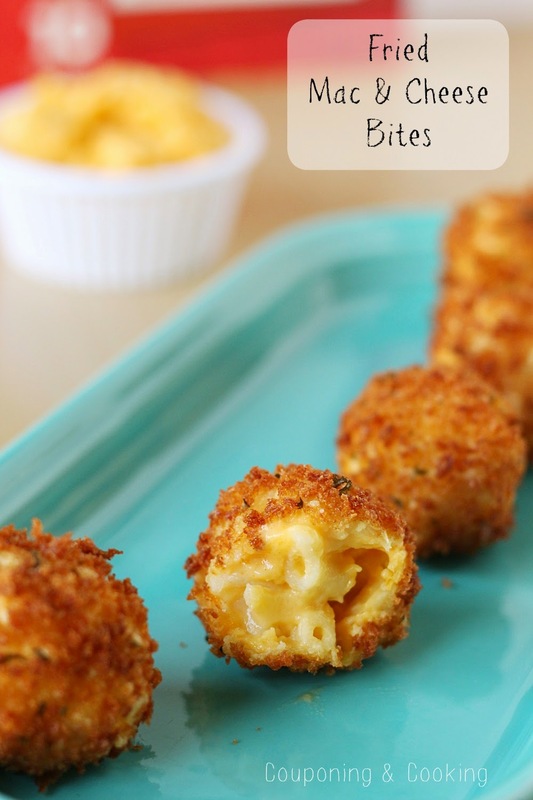 Scoop the mac & cheese into bite sized balls. 5.) 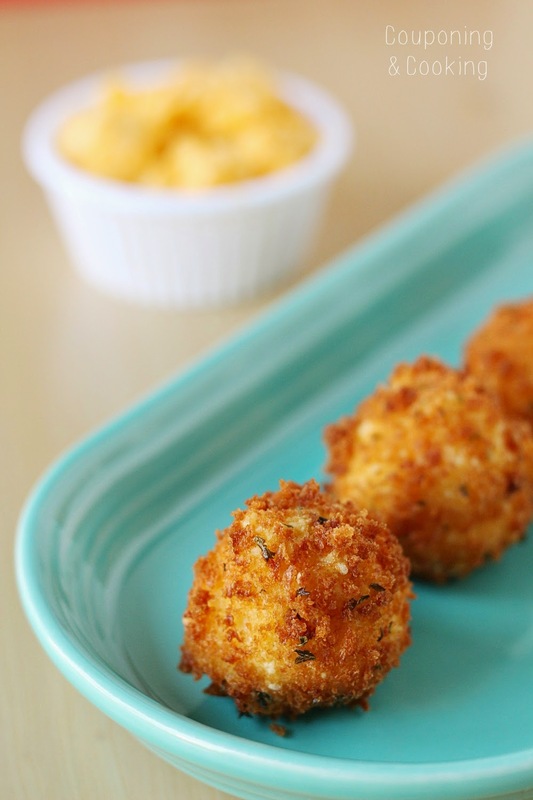 Roll the balls in flour, then in the whisked egg, then coat in panko. 6.) Drop into the fryer/oil and fry until golden brown.